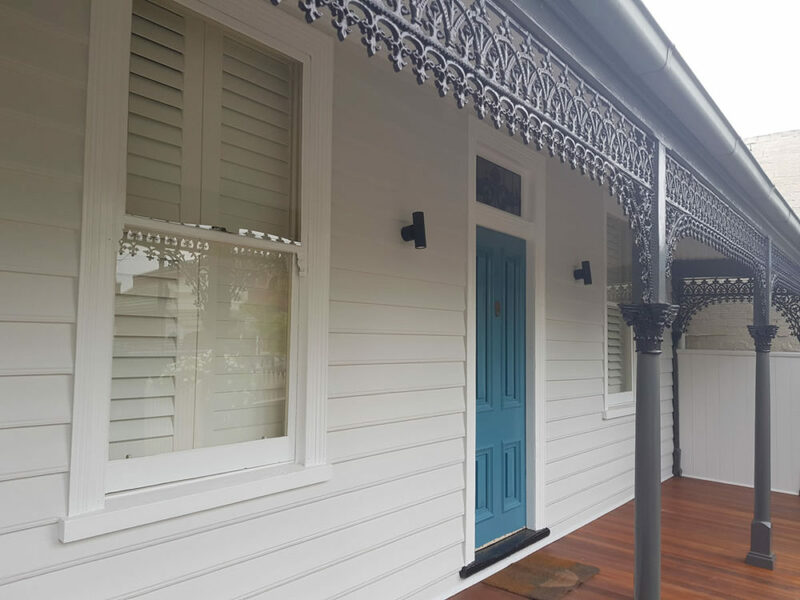 Victorian Weatherboard houses always provide satisfaction. 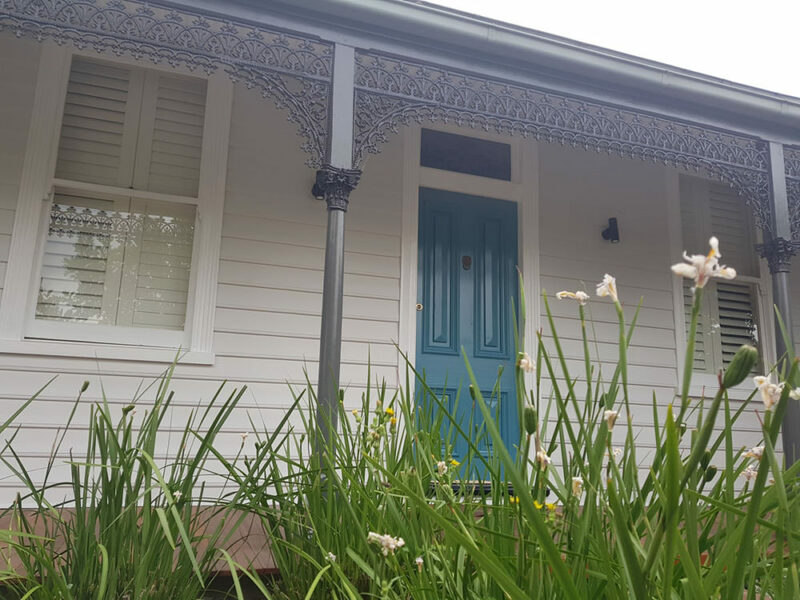 Taking run down old houses and turning them into gems, is one of the reasons we work as a Victorian Weatherboard painters. Weatherboard houses are full of character, some of that character is in the lovely little details. However most of that character is usually called maintenance. 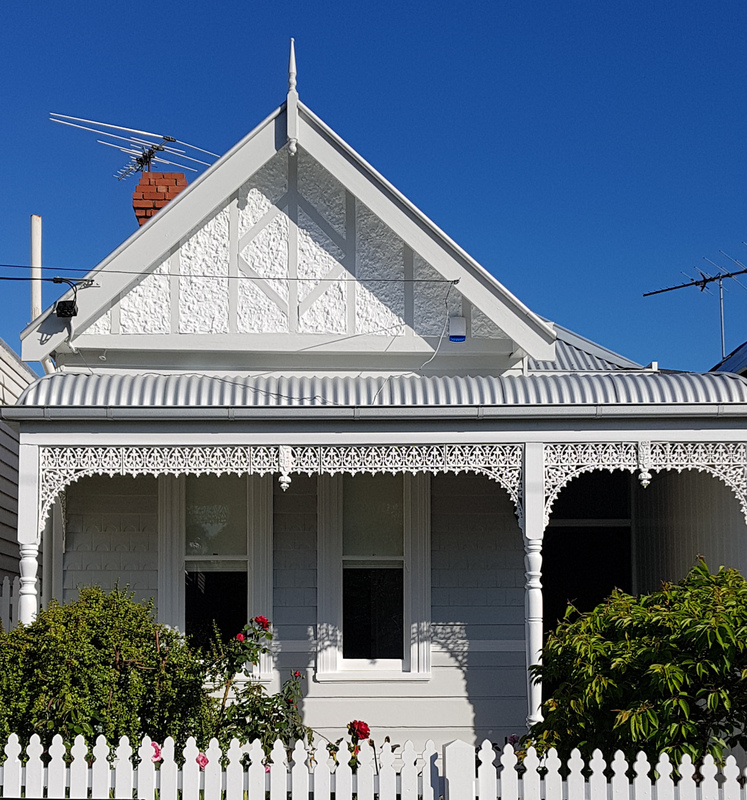 Typically a weatherboard house should be painted every 10-15 years, but I’ve seen paint jobs only last a couple of years almost always as a result of a poor job. Due usually to little or no preperation, unprimed boards and, or a poor product was used as a top coat. We sand, then sand again, between coats and then just because. All new boards are primed, that pink or white stuff the boards are sprayed in is a ‘transit primer’, and not a real primer. As a result our paint job will last. We gap, we fill, we sand. Then we paint, and finally sand and paint. Our wonderful Colour Consultant was employed on this project, and as a result, the house looks great and as for the streetscape, no one can argue with that. See how she can transform your home and your lifestyle. 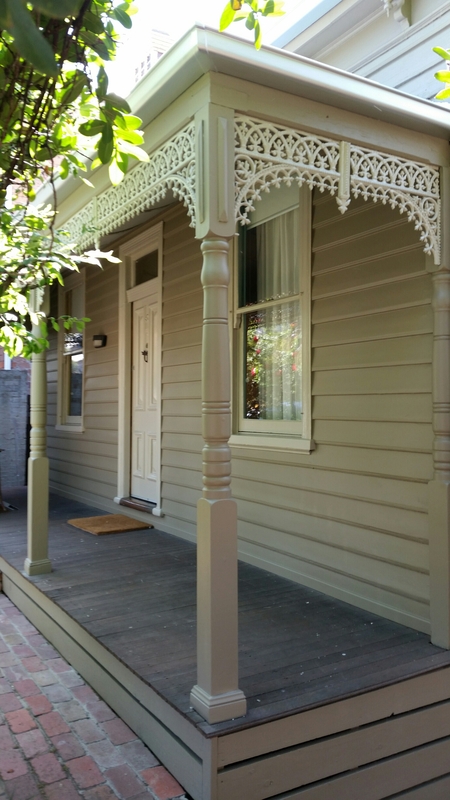 We are your Victorian Weatherboard Painters Seddon. 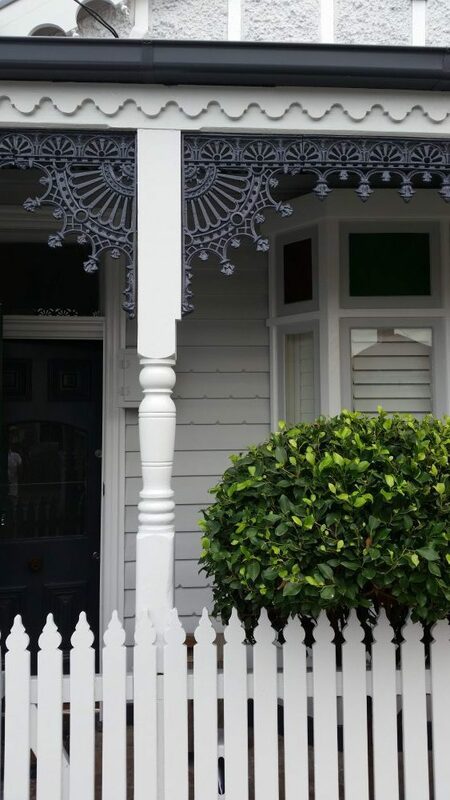 As Victorian Weatherboard House Painters, I’ll tell you the secret on how to make a victorian weatherboard house look good. It’s simple, really simple. It’s Preparation. The unfortunate thing about preparation is time, because it takes time. A lot of time! 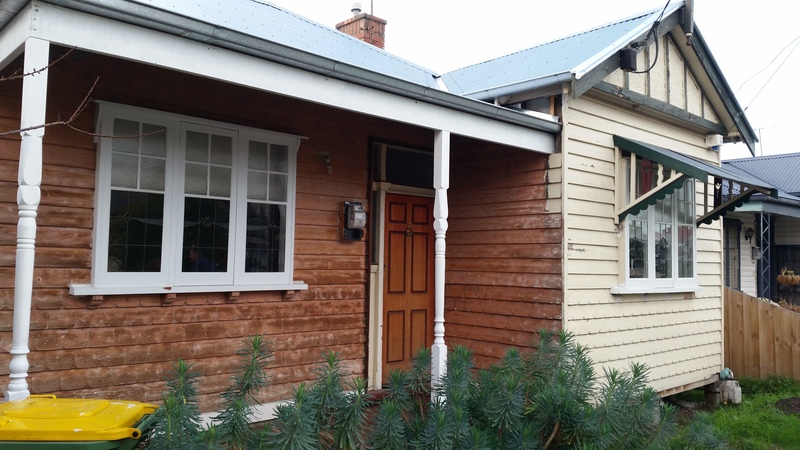 The front of this weatherboard house took 16 hours of preparation. Yes, just the front of the house. As a result in your weekend would be lost. Without even picking up a paint brush! 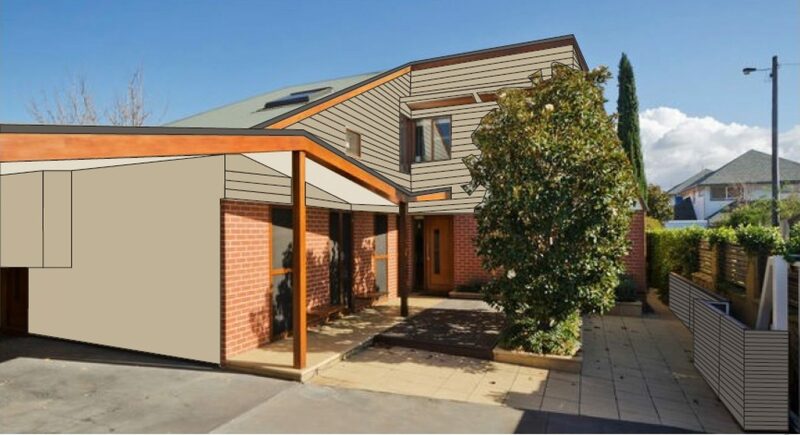 Weatherboards: Tranquil Retreat low sheen. Note to oneself. Tranquil Retreat is very ‘in’ at the moment, but don’t tell everyone! Sterling Exterior Painters for more details. 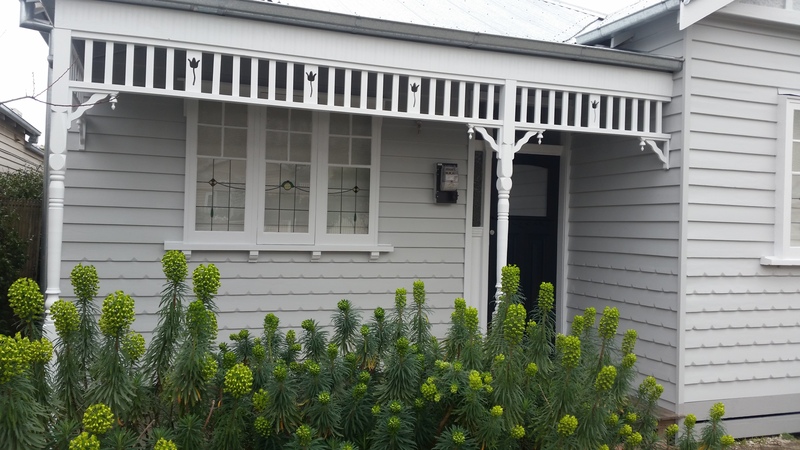 Here at Sterling Painters we love painting weatherboard houses. Each one is unique and full or character. Exterior House Painters. As Kensington House Painters we are always painting weatherboard houses, there are a lot of them here! It’s hard work, but rewarding working. All about the preparation. We find the painting is the easy part! Trim: Dulux Weathershield Linseed gloss.